Change the fashion game this summer season with this exquisitely designed Summer’s Own Grey Printed Cotton Short Tunic with unique Neckline from the house of Snehal Creation. Made out of finely crafted cotton fabric with unique all over print this is a versatile everyday wear option. 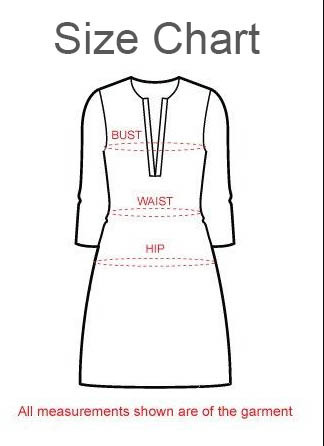 The neck of the tunic is round and sleeves run three quarters of the length. The neck panel is made out of designer printed taping with sequin work.